Amplificador estéreo que incluye de serie un placa DAC para poder escuchar música que provenga de nuestro ordenador. Este convertidor digital analógico por medio de su entrada USB 2.0 asincrona o digital óptica admite resoluciones de hasta 24/96. Además de conectar su ordenador puede conectar por ejemplo un Apple TV y por medio del DAC Burr Brown TI PCM1796 escuchar iTunes como nunca antes lo había hecho. integrado de 80 Watios previsto con un convertidor D/A con entrada USB y digital optica. Amplificador integrado estereofónico. Mando a distacia. Potencia de salida de 2x80 W continuos. Dimensiones: 435x116x292 mm (An x Al x P).Peso neto: 8,5kg. Este amplificador es la versión avanzada del modelo C356BEE. Ambos incluyen un amplificador integrado de 80watios a 8Ohmios pero es con C356BEE DAC con el que vamos a poder disfrutar de nuestra música del ordenador, emisoras de radio por internet y demás sin necesidad de conectar un DAC externo. Por el contrario, la versión sin DAC incluye previo de phono para poder conectar un giradiscos. Esto se debe a la construcción modular del amplificador. En este caso se ha prescindido del previo de phono y se ha metido un DAC en su lugar. Our C 356BEE DAC with the new MDC DAC built in, symbolises NAD’s desire for continual improvement—even on an award-winning design. We have refined our amplifier performance and added more value to our C 356BEE DAC design by applying knowledge gained from our top-of-the-line Masters Series M3 Amplifier. Able to drive the most complex loud speakers to their full musical potential, the C 356BEE DAC can challenge amplifiers costing two to three times more. With features like Preamp Out, Modular Design Construction, and the MDC DAC’s ability to play computer music, this amp will suit your requirements for years to come. With our C 356BEE DAC, the world of computer music can be heard through your hi-fi system without the noise or distortion that commonly plagues analogue designs. Thanks to an ‘asynchronous USB’ technique and its high precision clock, 24/96 quality computer music flows smoothly without ‘jitter’ or harsh distortion. You can also plug Apple TV into the C 356BEE DAC to hear iTunes like never before! The C 356BEE DAC, equipped with our MDC DAC Digital Analogue Converter, allows computer music to be streamed Amplifier 5 Star Award - T3 Magazinefrom your computer or attached storage device without musical compromise. MDC makes future upgrades possible with interchangeable modules! Our NAD PowerDrive circuit delivers very high dynamic power and low impedance drive to accurately control loudspeakers, resulting in musically detailed, coherent, and relaxed sound. PowerDrive™ offers the capability of an amplifier twice as powerful without the energy drainage. Our exclusive Soft Clipping feature protects speakers (and ears) from damaging clipping distortion. With 80W of continuous power (both channels), our C 356BEE DAC has the lowest levels of distortion and noise available in its price class. We use the most demanding criterion for performance measurement—Full Disclosure Power—measuring distortion under the most extreme conditions of low impedance loads and frequency extremes, rather than the easy 1kHz @ 8 ohms test used by many of our competitors. The C 356BEE DAC offers <0.5W standby consumption and includes a convenient ‘vacation’ switch. We make every effort to reduce our environmental impact by manufacturing the C 356BEE DAC without heavy metals and other hazardous substances, and by using recycled and recyclable materials where possible. In order to stream your computer audio, ensure that the Sound or Audio device setting of your computer is set to "NAD USB Audio". Download the "NAD USB Audio Driver" (click on the downloads tab on this page) and install this driver to your computer by following the instructions provided. Minimum system requirement: Microsoft Windows XP Service Pack 2 or higher, Microsoft Windows 7. 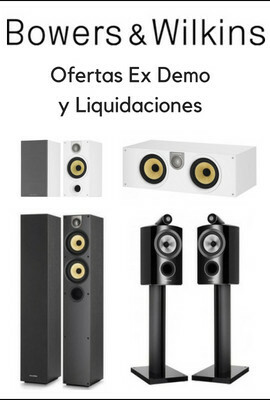 Amplificador integrado 2x75W. Mando a distancia. Opcionalmente entradas digitales. Excelente calidad de sonido. I35 con DAC -Conversor Digital Analógico. Amplificador 150 Watios a 8 Ohmios, DAC con multitud de entradas digitales. 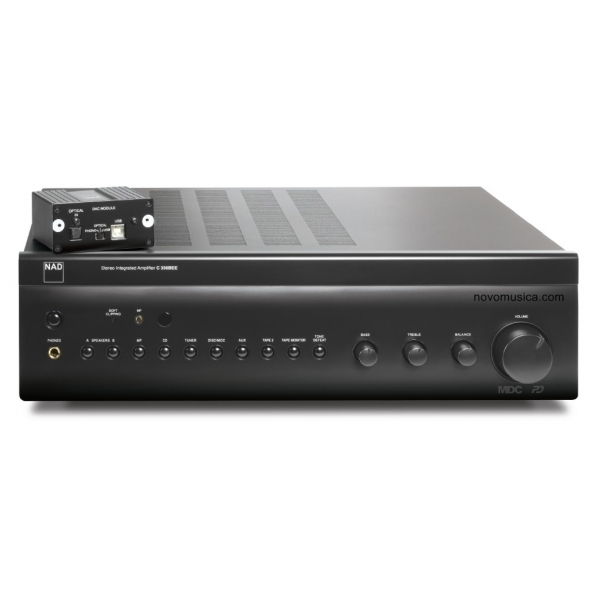 Amplificador integrado 150W x2, entrada Phono MM. Entradas analógicas y digitales, 2 ópticas y 2 coaxiales.